This stunning oil on board painting is by British/Australian artist Ian Henderson. It was painted in 1967 and details are verso. 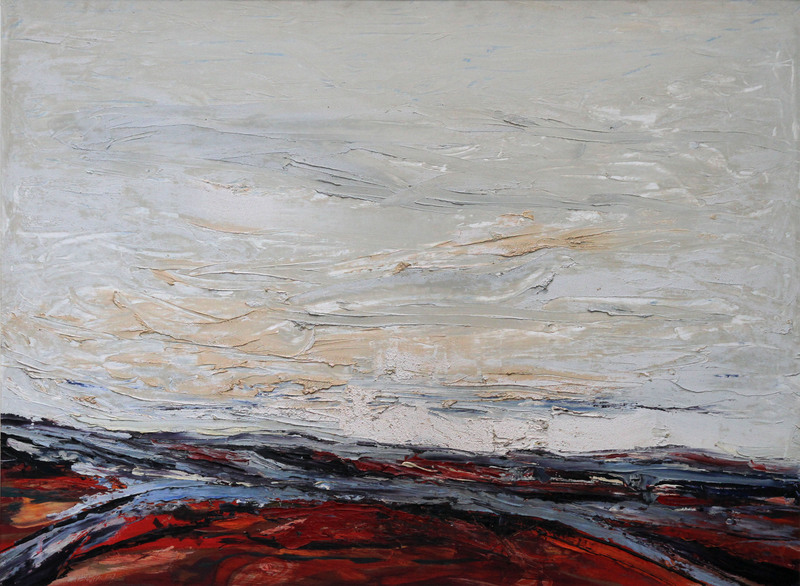 Entitled Routes Across a Landscape it is beautifully depicted with heavy impasto in shades of red and grey. The expansive sky is breath taking. He painted many works from his travels and life in Australia. We believe this is an Australian landscape view. Signed and dated lower left. Details inscribed verso. Size 50 inches by 38 inches.